With its dramatic lunar landscape, numerous volcanos and stunning rock formations – not to mention some gorgeous beaches – there’s certainly plenty to explore on the island of Lanzarote. Here’s our selection of the best and most fun ways to discover this, the fourth-largest of the Canary Islands. One of the most pleasant and relaxing ways to discover Lanzarote is on horseback. There are numerous defined riding trails – called Rutas Ecuestres – and there’s no shortage of riding centres dotted around the island. You can trot or gallop through some stunning scenery, with the likes of Horses Lanzarote, who offer one- or two-hour tours around the Costa Teguise area. They also have ponies for younger riders. Alternatively, to indulge your inner Lawrence of Arabia, you can explore the desert-like landscapes on the back of a camel in the Timanfaya National Park; trips take around half an hour. There are only 15 commercial submarines in the world, so this is a rare opportunity to experience submarine travel firsthand. You’ll be taken 30 metres (98 feet) down, and you’ll be able to witness scuba divers feeding the abundance of marine life by hand, right outside the submarine window, as well as exploring local underwater shipwrecks. 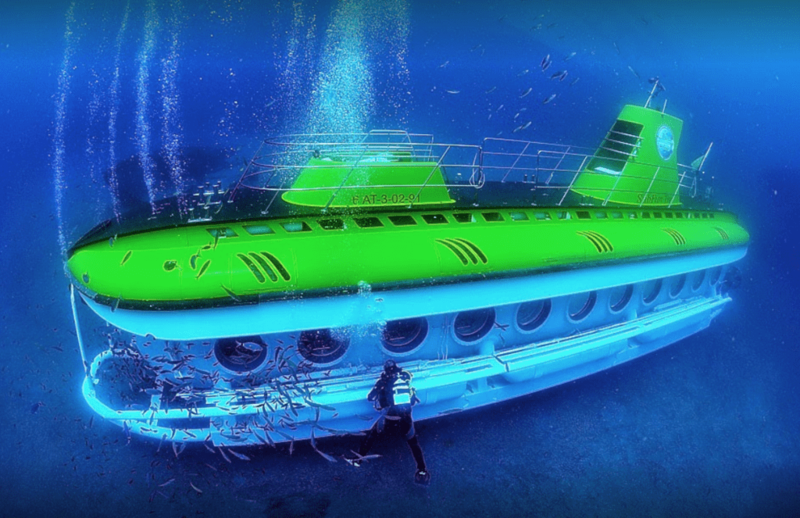 Submarine Safaris operate two of the world’s most sophisticated tourist submarines (one on Lanzarote and the other on Tenerife), each having cost €3 million. The tour takes around an hour, and there’s also a kids’ club. Experience the island from a different perspective on this increasingly popular form of two-wheeled motorised transport. 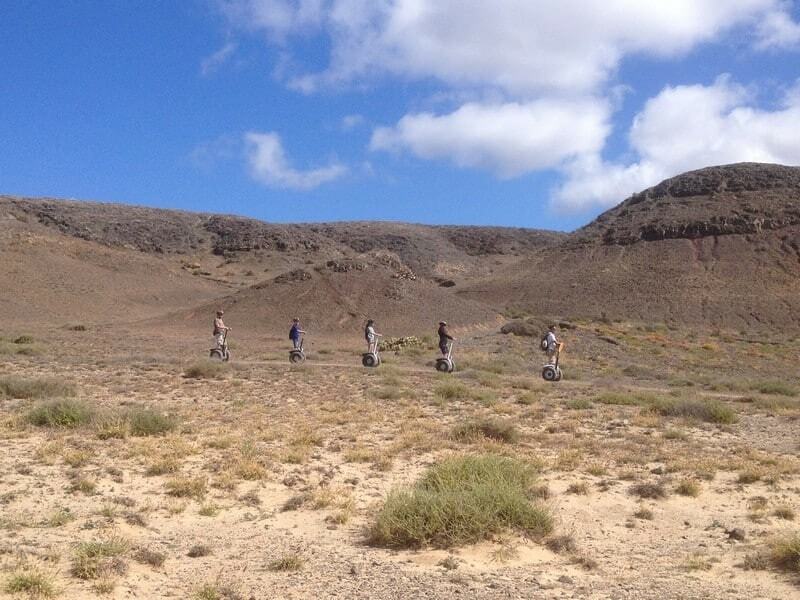 Group tours with Moving Segway Lanzarote will take you on an on- and off-road adventure with a choice of routes that include ancient native sites, beaches, volcanos and more. Those who prefer more of a rugged riding experience can opt for a quad bike tour. All bikers must be over 18 and have a valid driving licence. Make sure to take sunglasses and a scarf to protect your face from the dust, as you’ll be storming around the island on some seriously fun off-road trails. Rent-a-Quad Lanzarote offer tours lasting from one to three-and-a-half hours, with the longest covering 70 kilometres (43 miles), half of that off-road. Another experience for those who like it rough and rugged, a jeep safari takes you off the beaten track to places that would do some serious damage to your hire car. Adventure Holidays Lanzarote offer a range of 4×4 trips that last up to around seven hours, with as much on- or off-road as you like. With plenty of smooth tarmac roads, relatively little traffic and terrain that varies from long flats to punishing slopes, Lanzarote is great for road biking. Mountain bikers will also find no shortage of rugged trails, including goat tracks that cut through craters and lava formations. Lanzarote Cycling offer everything from bike rental to half- or full-day guided tours; for a full-on cycling experience, you can mountain bike tour around the island in up to seven stages over a week. It might come as a surprise to many but – thanks to its warm climate, night dew and fertile volcanic soil – Lanzarote produces some excellent wines. And what better way to get to know these wines than by exploring the island’s vineyards? Wine Tours Lanzarote offer walks around three lovely vineyards, where every stage of the wine-making process is still done by hand, plus, of course, tastings of six local wines, paired with some Lanzarote goat’s cheese. Tours take three to four hours, and can be done privately or as part of a group; pickup and drop-off at your accommodation are included.